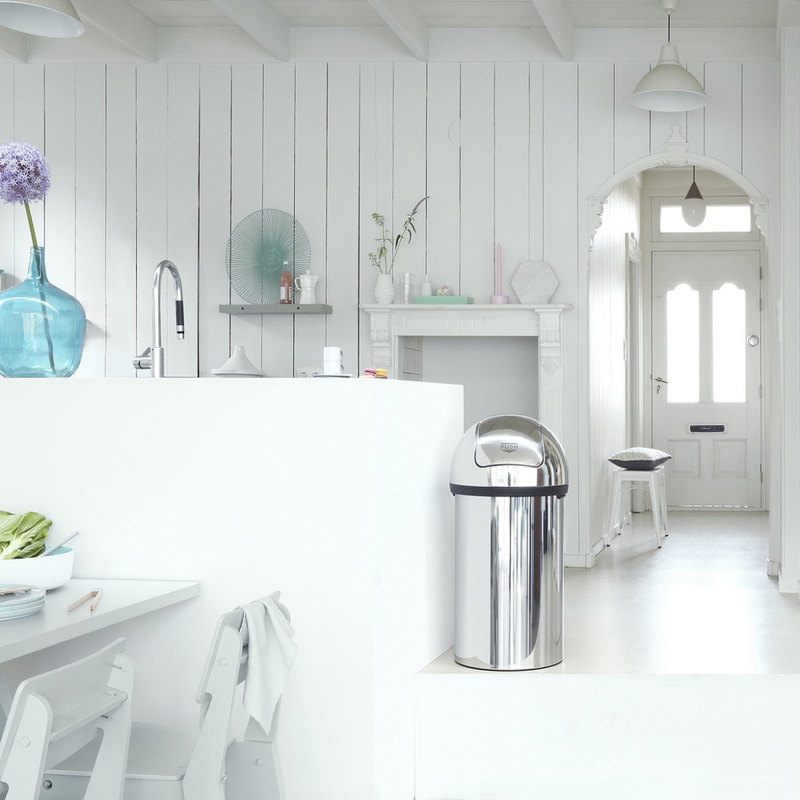 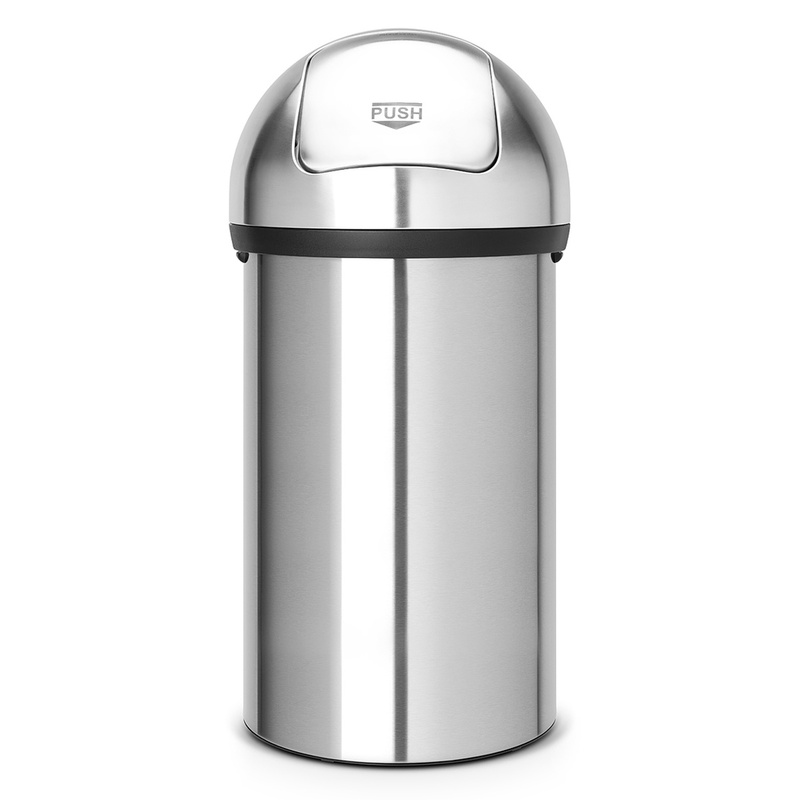 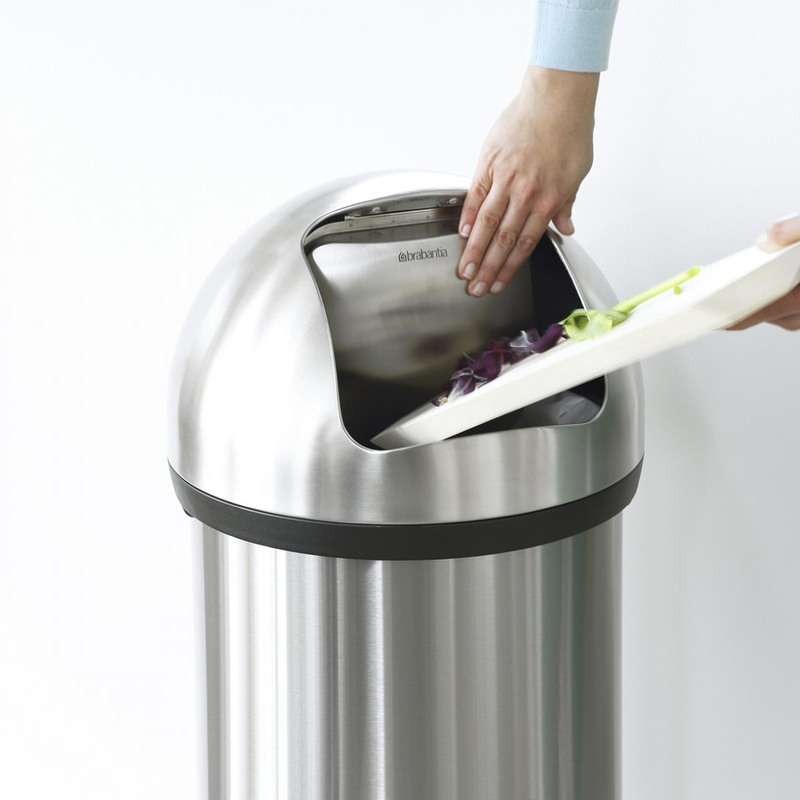 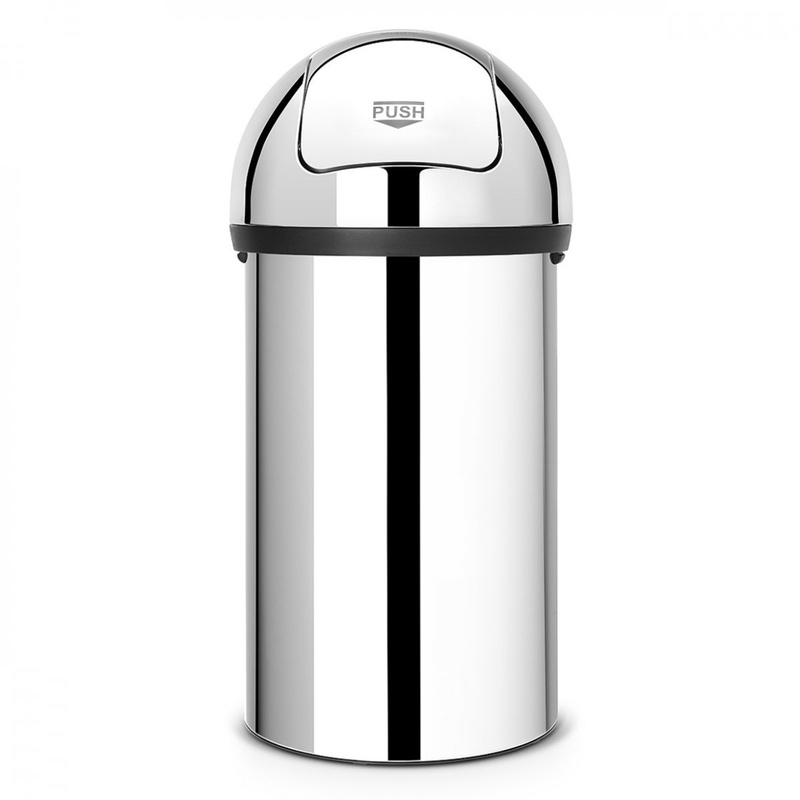 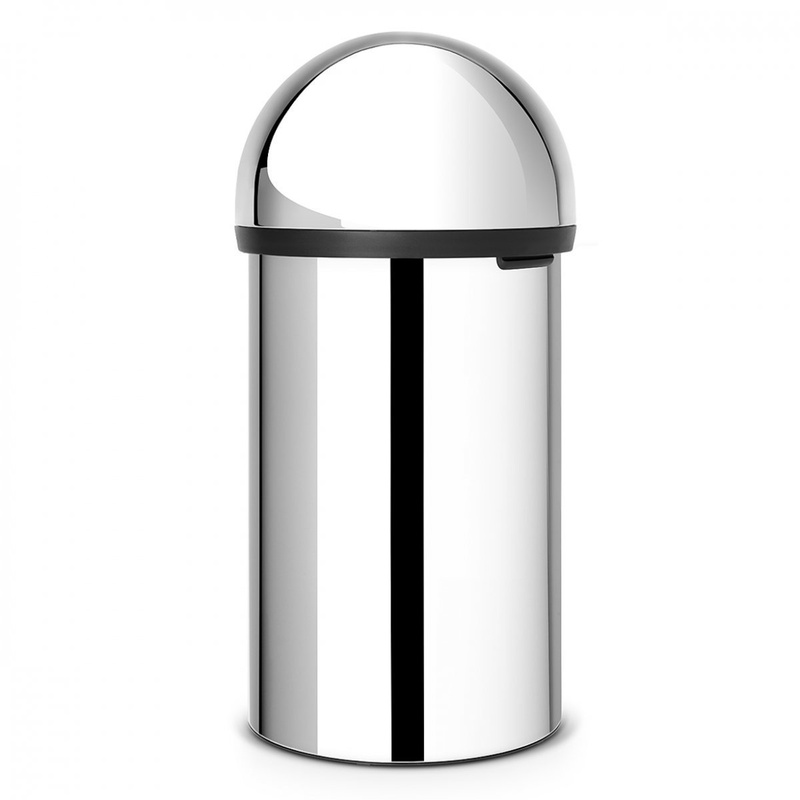 The Push 60-litre rubbish bin is a lovely creation by Brabantia, making a very practical and functional article that also flaunts the beauty of stainless steel. 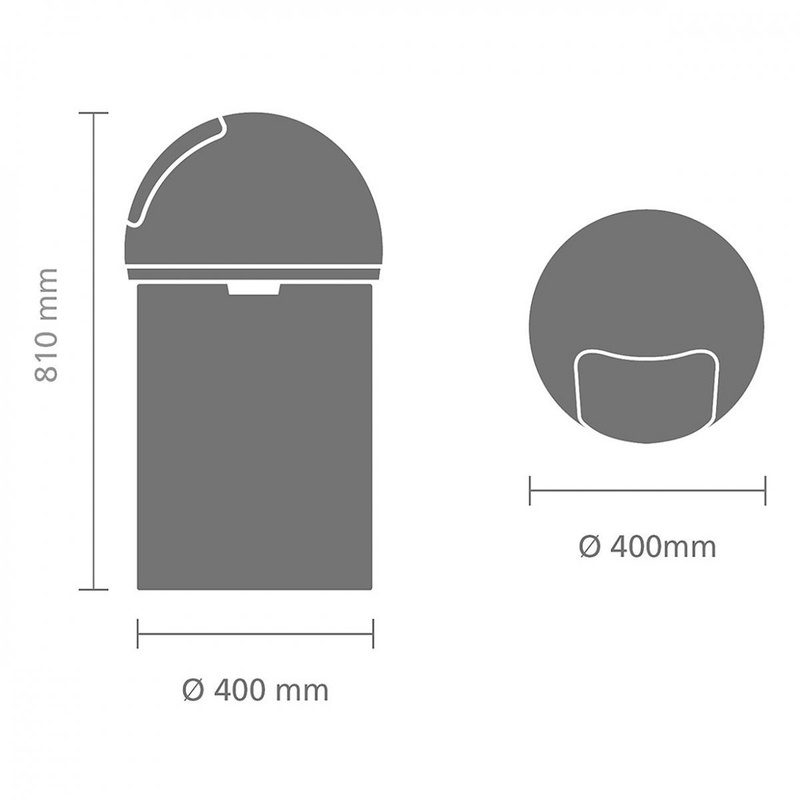 There are many technical features that make the Push 60-litre rubbish bin a very interesting object, beginning with its very traditional shape and classic push opening system. 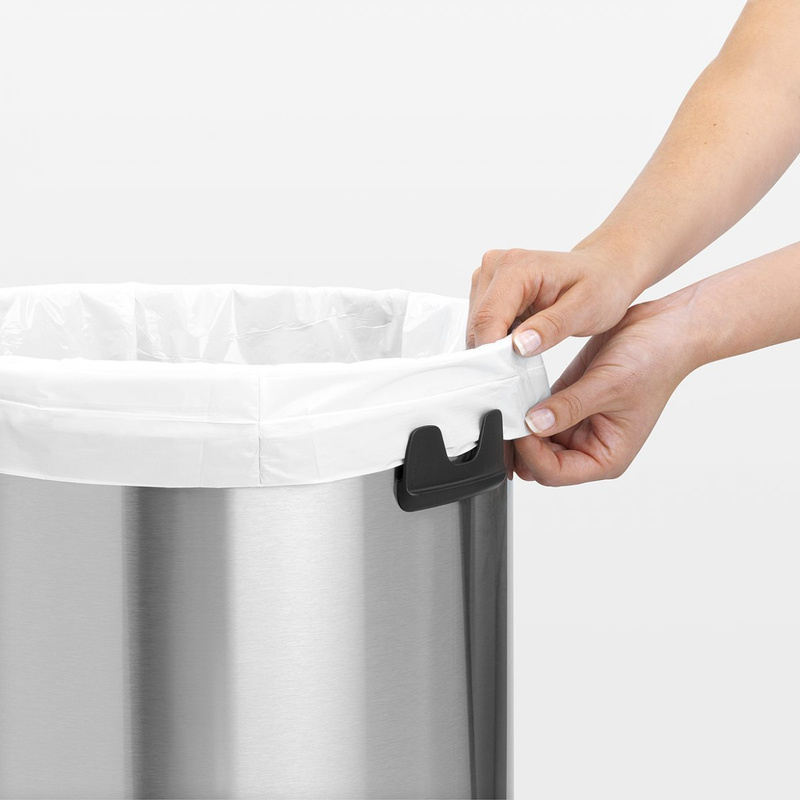 The system in question is reinforced by front rubbers which also cover the entire unit and can be removed in order to replace the bag with maximum convenience. 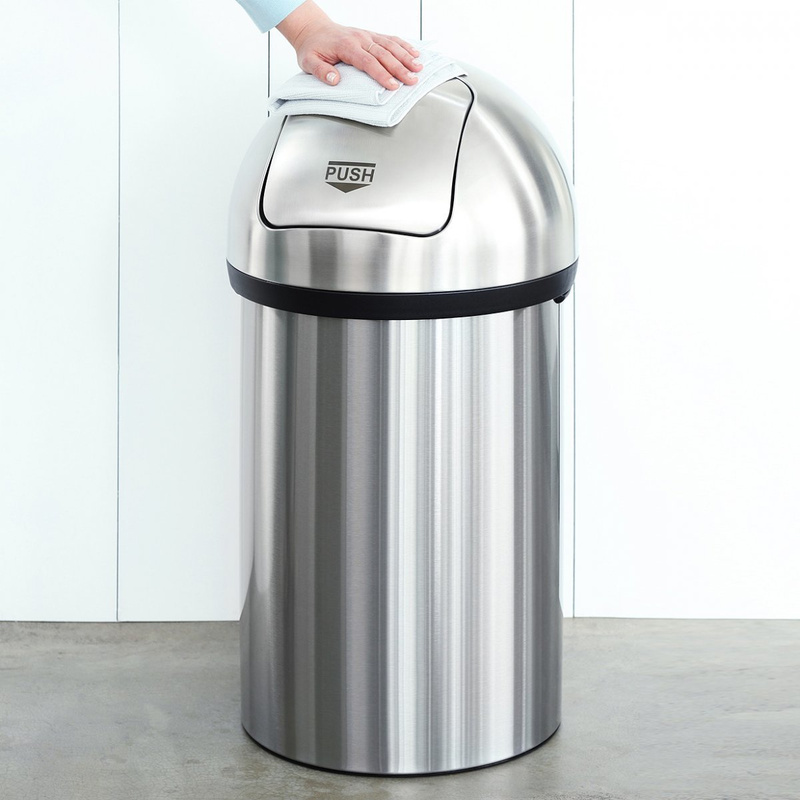 This rubbish bin is also rather convenient when it comes to moving the piece as itâ€™s equipped with two carrying handles with bag-holding capabilities. 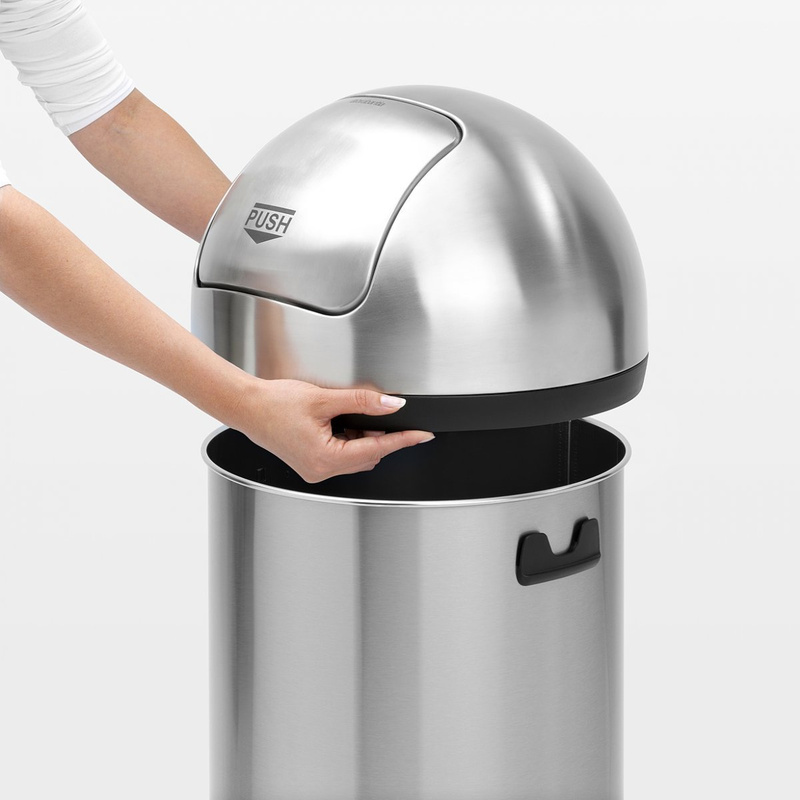 The bin also sports an anti-scratch bottom. 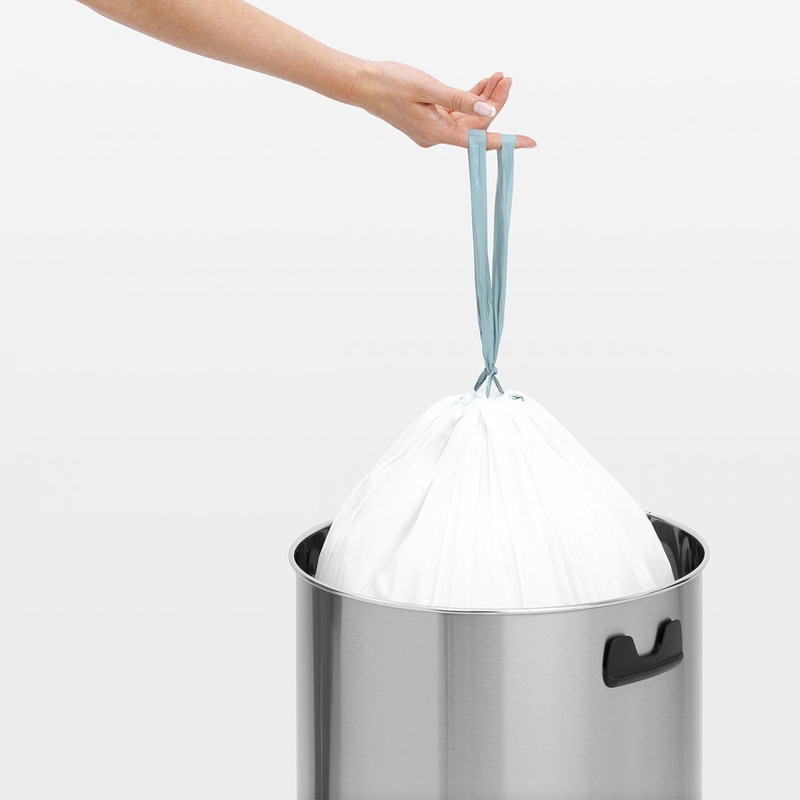 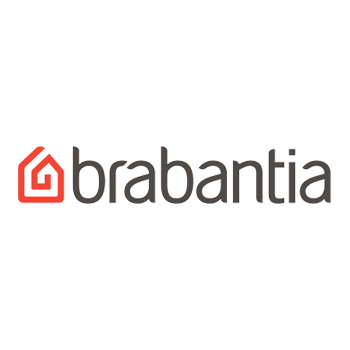 Brabantia also includes a set of test bags with straps made specifically for the Push 60-litre rubbish bin, which highlight the size of this bin, allowing you to go extra long before using replacement bags (code H). 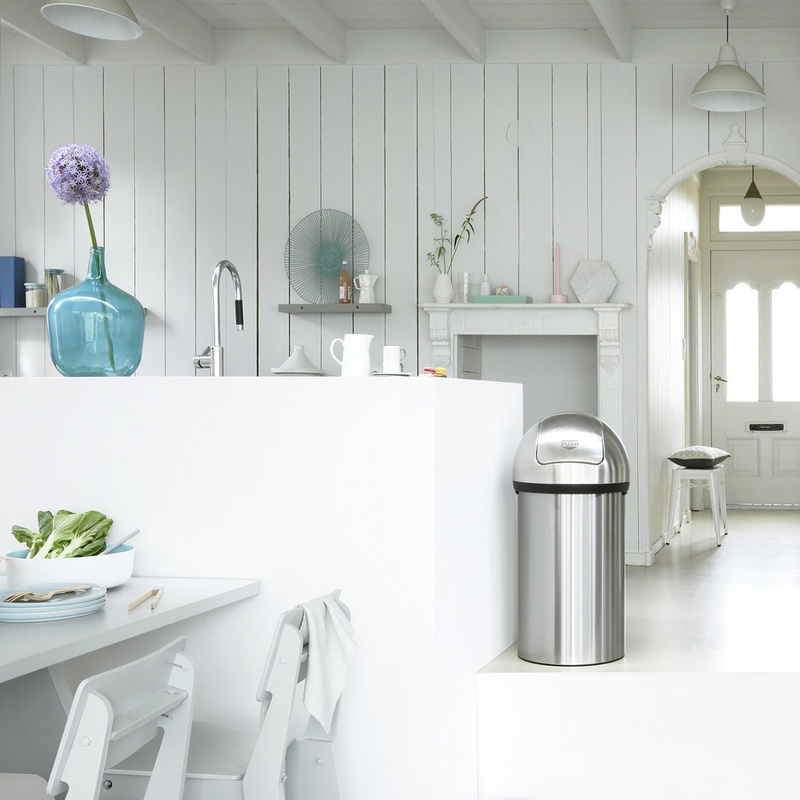 Simple, elegant and versatile, this Brabantia rubbish bin works its way into tons of different layouts, whether in a home, office or shop. 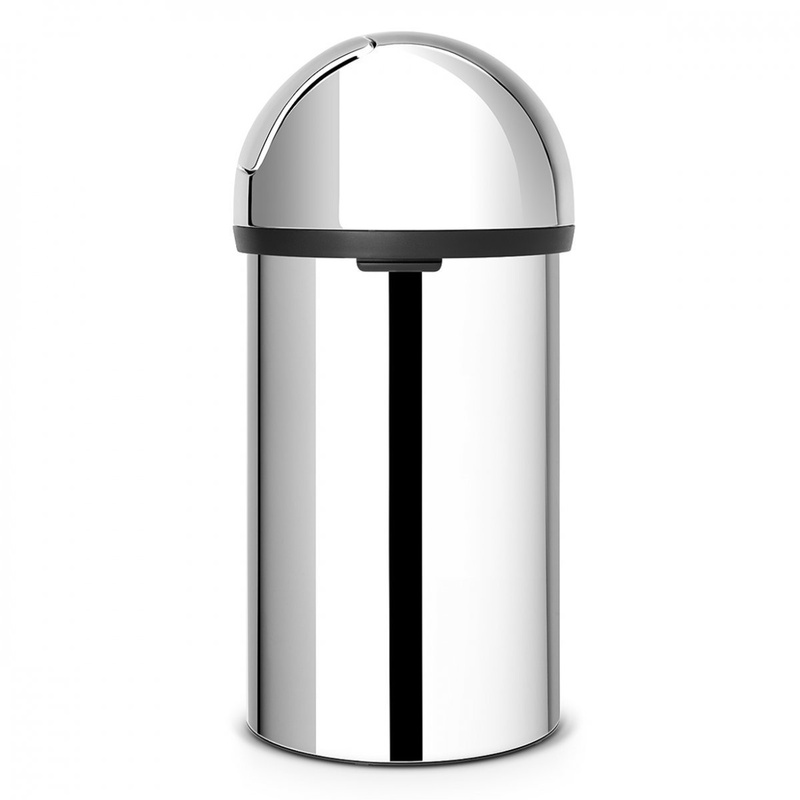 Flaunting its chrome steel, this rubbish bin will light up any corner itâ€™s placed in: items with bright colours dazzle when paired with this eccentric piece.